O.K., not that Bob, my husband Bob. We just celebrated our 19th wedding anniversary last week, and prompted by a post from A Proverbs 31 Wife, I thought I'd share some of the things I love about Bob. #1. He's a great provider, even willing to work overtime when it becomes available. #2. Bob is (almost) always in a good mood despite working crazy hours. I know if I kept the hours he did, I wouldn't be fit to live with. #4. Always willing to lend a helping hand, after just a few hours sleep Bob went to pick up and deliver a dresser our daughter had purchased while we were out that morning shopping at garage sales. #5. A handyman at heart, he can build or fix just about anything. The dresser had a drawer in need of repair, so he brought the drawer home to mend it. #6. I joke that if Bob was any more laid back, he'd be in a coma! But his flexibility really is a blessing. Our anniversary was actually on Tuesday, but I was so worn out from watching the grand babies (now 15 months and 2 months old!) I had to ask for a rain check. #7. Ray Vander Laan is one of my favorite Bible teachers, but his lectures have been few and far between. I heard on the radio that he would be teaching this past Saturday and Bob willingly agreed this could be our date night. We were not disappointed! #8. Bob is not critical. If I never cleaned the house again, I doubt he'd say anything. It would drive me insane, but it wouldn't bother him in the least. Good thing, because now that I'm watching babies four days a week, I'm not getting anything else done. #9. More than once (ok, probably a lot more than once) I'll say, "I'll be there in a minute, I just need to finish this fill in the blank". It's never just a minute, but he's always patient with me. #10 Bob is an amazing grandpa. He stops by to pick up the boys after work, then stays up to help me feed them breakfast. Love you Bob! Happy Anniversary! Hi Lisa, I'm Anne from Life on the Funny Farm (http://annesfunnyfarm.blogspt.com), here by way of Cat-Like Curiosity. What a beautiful tribute to your husband. SOunds like a wonderful guy! Happy anniversary! Sounds like a wonderful man. What a loving tribute you gave him with this post. Congratulations on your anniversary! It sounds like you are very blessed. Thanks for visiting my blog last week! It's great to "meet" you. I love how each of these things you love really gives a picture of his character. Sounds like you've got a wonderful husband! Thanks for linking up this post! Happy anniversary to you and Bob! 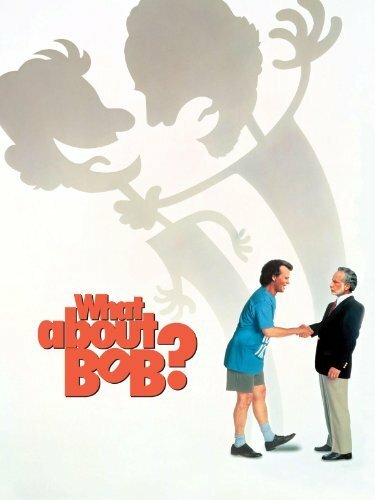 By the way, What about Bob?, the movie, was filmed very close to Lynchburg, where I now live. My favorite part of that movie is when he's roped to the mast of the sailboat and proudly exclaims all across the lake, "I'm sailing!" What a lovely tribute to your Bob. He sounds like a wonderful loving husband to you and dad and granddad too. 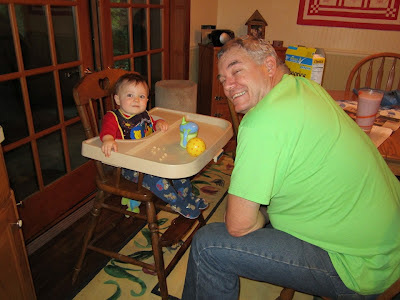 Thank you for sharing at Tell me a Story. Well, Happy Anniversary! Your Bob sounds better than the movie version :). Though, I must admit, I've often quoted Bill Murrey's character to my patients: "Baby steps to the elevator, Baby steps to the ______"
Love your post about your hubby! He sounds a lot like mine & I've even made the same statement, "If he were any more laid back he'd be in a coma!" I used to think I had the only man who was supportive, patient, kind, and all the other attributes you named in your hubby... but now I know God created more of them. How blessed we are to have such husbands! Congratulations & Happy Anniversary! What a blessing. A "good" husband is a "blessing beyond belief." AND being in Kenya -- I'd love it. Our similarity, begins unsimilar. I actually was married before and it was very seriously unhealthy and the divorce came into effect after 15 years. NOW the similarity is that the Lord dropped my dear one into my life and we've been happily married for 27 years -- September 21st -- and missionaries in Uganda and a good and caring guy. I can't imagine being happier, more respected, more content. And Bob and Dave are a lot alike in their work, sharing, giving, caring. THAT is a blessing. Nice to see a sweet story. What a wonderful tribute to your husband. Many more anniversaries to come! But sounds incredible! Happy belated Anniversary! I haven't seen that movie in forever...aww!! Thanks for linking up with me at First Day of My life for Thankful Thursday <3 Hope you had an amazing weekend! Happy Anniversary! What a great post. I love that Kendra prompted you to post this. Thanks for linking up for Matrimonial Monday!